Former San Antonio Spurs forward/guard Danny Green, who was recently traded along with Kawhi Leonard to the Toronto Raptors, isn’t the only current or former NBA player who doesn’t expect the two-time NBA Defensive Player of the Year to sign with the Los Angeles Lakers once he becomes a free agent next summer. Like Green, ESPN analyst and former NBA guard Jalen Rose doubts the possibility of Leonard joining the hometown Lakers, but in this case, he believes there’s a much greater chance he’ll be signing a deal with the NBA’s other Los Angeles-based team, the Clippers, as Kawhi might not want to play in the shadow of a fellow NBA superstar like LeBron James. Responding to Green’s earlier comments that hinted Leonard might find it hard to leave the Toronto Raptors, Rose agreed with the remarks on Wednesday’s episode of ESPN’s Get Up!, predicting that Leonard will likely embrace the opportunity to become the top star on a team that was the No. 1 seed in the Eastern Conference last season. When asked by co-host Mike Greenberg about whether Kawhi Leonard’s situation with the Los Angeles Lakers will be similar to that of fellow Southern California native Paul George, who spurned the Lakers to sign a lucrative, long-term deal with the Oklahoma City Thunder this summer, Jalen Rose stressed that he doesn’t expect Leonard to become a Laker in the summer of 2019, contrary to what many fans are expecting and hoping for. “If Kawhi Leonard does leave Toronto, it won’t be for the Los Angeles Lakers,” said Rose. Although Greenberg argued that Leonard’s quiet personality could mesh well with the possibility of him playing second fiddle to James in the Lakers, Rose brought up the earlier rumors of Kawhi wanting to “play in California,” as he and co-host Nicole Briscoe agreed that Leonard did not specifically mention the Lakers as his preferred destination. “If he leaves Toronto, in my opinion, it’s going to be for the Los Angeles Clippers,” said Rose, who reminded Greenberg and Briscoe that he reported on Leonard’s relationship with the San Antonio Spurs being “fractured” well before most others did. Commenting on Jalen Rose’s statements on Kawhi Leonard and why he might not want to become a Los Angeles Laker next summer, 247Sports wrote that chasing a title with James and the Lakers’ youthful core “isn’t on his to-do list,” as Leonard already won an NBA title with the Spurs. 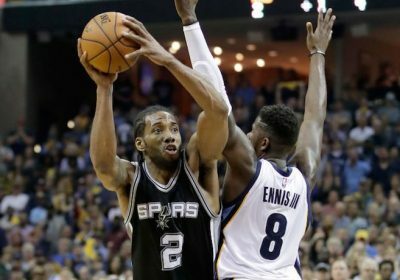 While the publication also agreed that joining the Clippers might be a more attractive proposition for the 28-year-old forward, it was also noted that Leonard is likely to give the Raptors a “fair shot” as he prepares to play for his second NBA team in eight seasons.